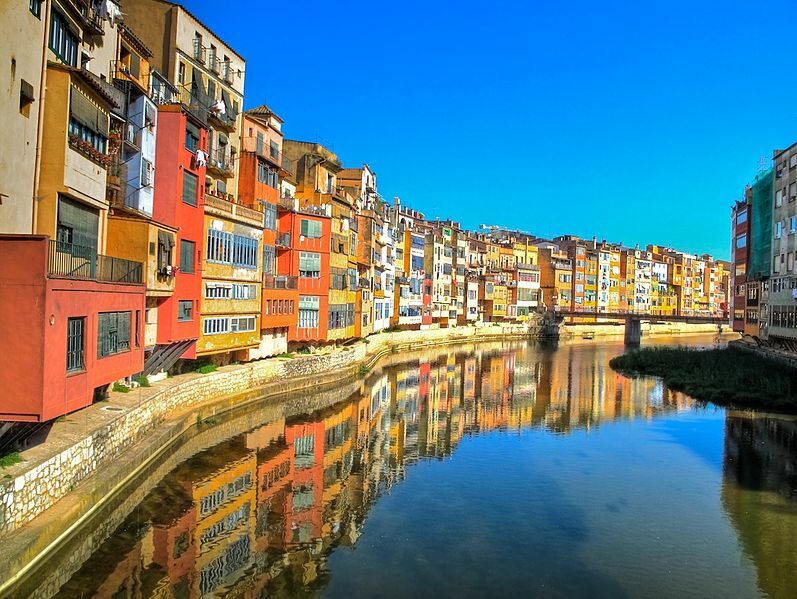 The water colour captures the buildings of Gerona Spain along the water front when washing was done by hand and river was showing its worst excesses. 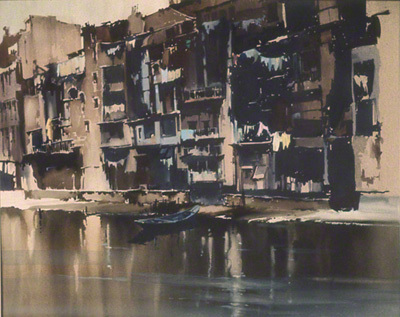 Claude Buckle captures the buildings reflected in the water as a backdrop to the painting where the main theme is the water reflection. This picture is unusual as it betrays the squalor that existed in Spain in many of the towns at that time. As a graphic artist Buckle was not unused to painting scenes which on first viewing do not appear to be of a pleasing subject matter. Created in 1968. The view of the river of Girona Spain in 2011. Its difficult to imagine a more garish scene.